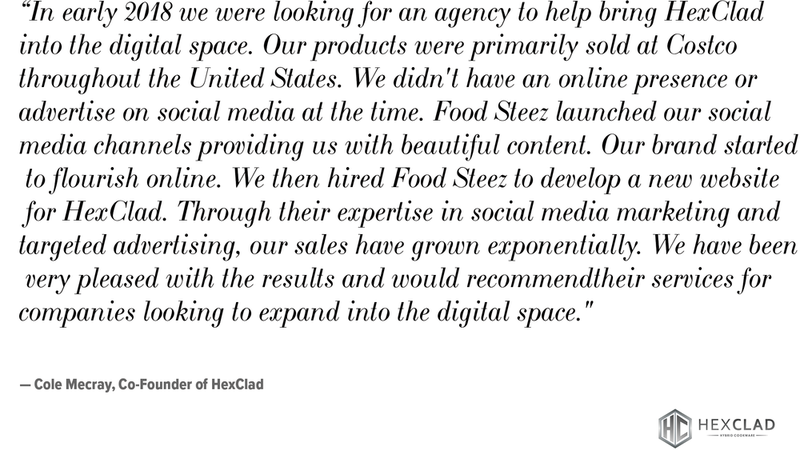 + Food Steez specializes in food & beverage - we work with chefs, restaurants, food brands and cookware companies. 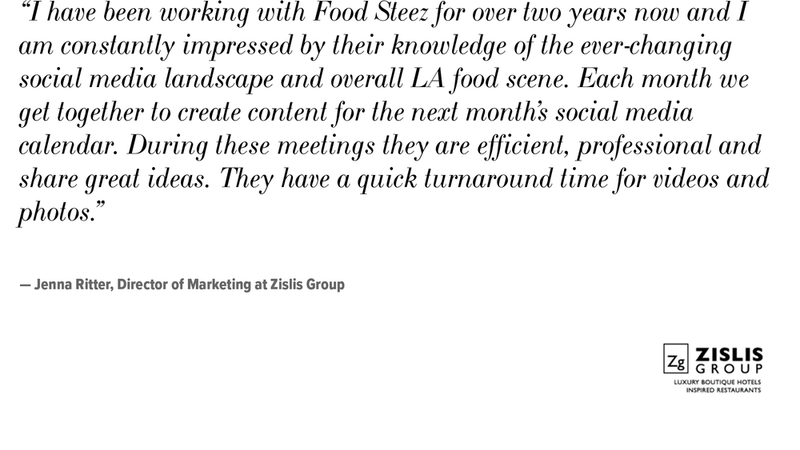 + Some of our clients include Food Network, Facebook, Thrillist, Beyond Meat, Igloo and Goldenvoice. + FS MEDIA is our other half - they handle everything outside of food, from branded content to tourism and travel. + Some of their clients include Facebook, Goldenvoice, MVMT, Tourism Authority of Thailand and Boston Capital. Feast your eyes on our mouth-watering photo gallery that’s guaranteed to make you hungry. We’ve produced content for a long list of brands and publications. We've worked with some of the best chefs and restaurants in the world - see what we've created.